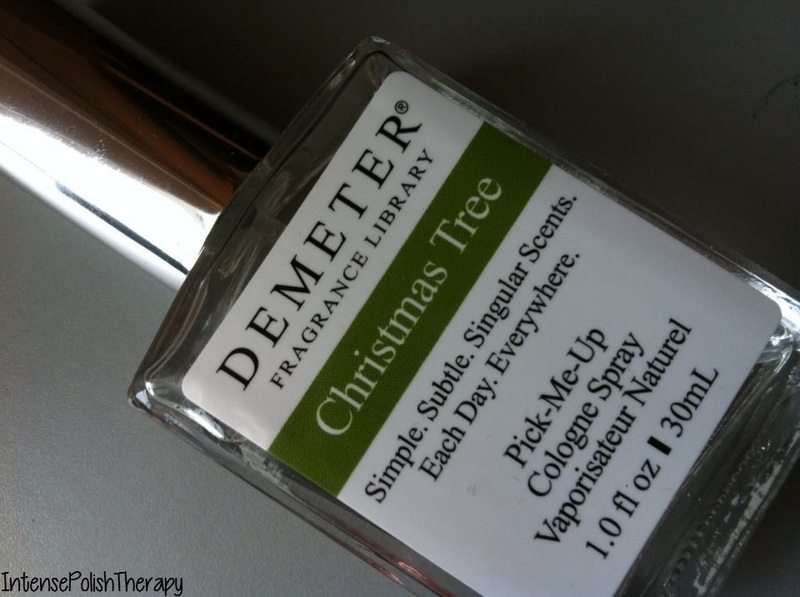 Demeter consistently keeps blowing my mind & tricking my nose & they most certainly did so with this Christmas Tree spray! Ugh, those darn people at Demeter. They must have like super powers or something. I haven't had a real tree in roughly 10 years or so... Sad I know. However I only started to really decorate & like Christmas after my daughter was born. My husband & I would exchange gifts but that's it. After we had our daughter we decide to start decorating & doing all of the traditional things. I would really love to be able to have a real Christmas tree but then I started think about all the pros & cons. & the cons out weighed the pros. So with that being said I really miss the smell of pine & spruce. Most spruce than pine, but either way I miss the freshness of the tree. When I remember christmas scents the real trees scent is definitely a huge part. Hmm... Demeter's Christmas Tree is very piney followed by a very peculiar spiciness at the end. I can't exactly figure out what the spicy scent is or why it's there. It's very odd. However I can't really judge since my mother used to bowl spices & fruits as a christmas air freshener type deal, so maybe that's what they were going for. The scent throw is amazing, & the lasting ability is pretty good. I recommend this for people who love natural scents.